Adam, a photographer, awakens in a bathtub in a large dilapidated bathroom, and finds himself chained at the ankle to a pipe. Lawrence Gordon, an oncologist, is chained to a pipe across the room, and between them is a corpse holding a revolver and a microcassette recorder. Each man has a tape in their pocket, and Adam is able to retrieve the recorder. Adam's tape urges him to escape the bathroom, while Lawrence's tape tells him to kill Adam by six o'clock, or his wife and daughter will be killed and he will be left to die. Adam finds a bag containing two hacksaws inside a toilet; which they attempt to use to cut through their chains, but Adam's saw breaks and he throws it at the mirror in frustration. 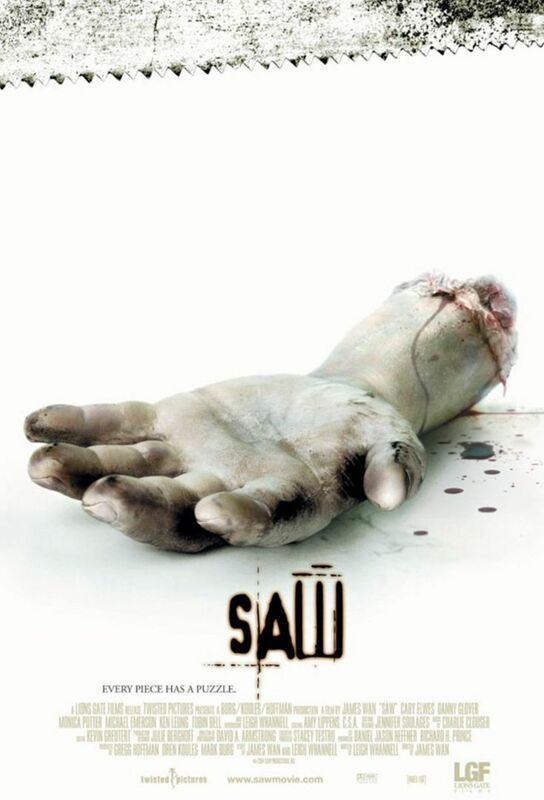 Lawrence realizes that the hacksaws weren't meant to be used for their chains, but for their feet, and identifies their captor as the Jigsaw Killer, whom Lawrence knows of because he was once a suspect. Read more on Wikipedia.